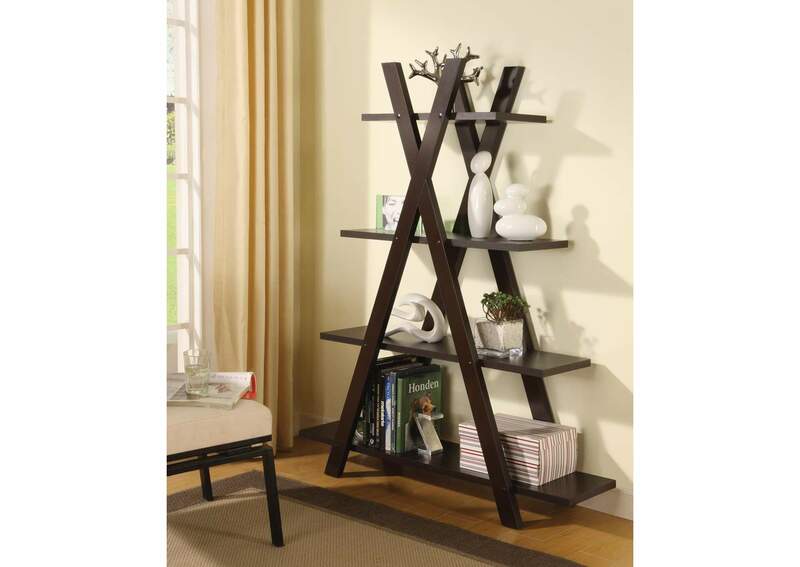 This contemporary bookcase will provide a stylish way to organize your living room. With a cappuccino finish, this bookcase has four shelves built within an "X" design that is both sturdy and decorative. Store your books in style on this contemporary bookcase.